This paper is adopted from Namande’s PhD thesis entitled the role of media in disseminating Indigenous Knowledge (IK) for socio-economic development: The Case of West FM Station in Western Kenya. The purpose of the paper is to assess the Indigenous Knowledge domains disseminated by the West FM Radio and how the said IK is leveraged in development. Multiple data collection comprising both primary and secondary data collection methods such as documentary review, face to face interview, telephone interview, observations and content analysis were applied. Thematic and explanatory data analysis approach was used to analyze qualitative data and where possible the respondents’ voices were quoted. Among the findings of the study are that IK programmes have had a positive impact on the listenership in terms of agriculture, morality and family stability. The study may be of value to policy making with regard to IK both at the national and West FM levels. The study recommends the need for a national policy on IK and further research on discovery and harvesting of IK in the study locale. Culture, Dissemination, Indigenous Knowledge, Media, Sharing. Agrawal, “Dismantling the divide between indigenous and scientific knowledge,” Development and Change, vol. 26, no. 3, 1995. Agrawal, “Indigenous and scientific knowledge: Some critical comments,” Indigenous Knowledge and Development Monitor, vol. 3, no. 3, pp. 3-6, 1995. Ahmad, “Development of KM model for knowledge management implementation and application in construction projects,” A thesis submitted to the University of Birmingham for the Degree of Doctor of Philosophy, 2010. 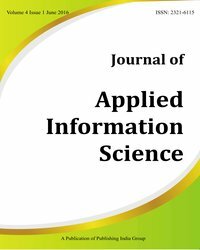 M. Alavi, and D. E. Leander, “Knowledge management systems: Issues, challenges, and benefits,” Communications of the Association for Information Systems, vol. 1, no. 7, 1999. J. Akong’a, and B. Ekeya, “Sagacity: Luyia religion, new belief systems and attitude to change and development,” Unpublished, 1986. J. Aluma, “Sustainable agriculture and rural livelihoods: Local knowledge innovations in development,” Retrieved March 21, 2007 from Local pathways to global development: Indigenous knowledge, pp. 24-29, World Bank. http://siteresources. worldbank.org/EXTINDKNOWLEDGE/Resources/ik complete.pdf. 2004. R. Barhardt, and A. O. Kawagley, “Indigenous knowledge systems and alaska native ways of knowing,” Anthropology and Education Quarterly, vol. 36, no. 1, pp. 8-3, 2005. Blackman, and S. Henderson, “Know ways in knowledge management,” The Learning Organization, vol. 12, no. 2, 2005. Cheregony, “Assistant Chief’s views on inclusivity of West FM IK programmes,” Unpublished, 2015. C. T. Chisita, “Role of libraries in promoting the dissemination and documentation of indigenous agricultural information: Case study of Zimbabwe,” World Library and Information Congress: 77th IFLA General Conference and Assembly, 2011. L. J. Chronbach, “Coefficient alpha and the internal structure of tests,” Psychometricka, University of Illinois, vol. 16, no. 3, 1951. W. Creswell, Qualitative Inquiry and Research Design: Choosing Among Five Approaches, Thousand Oaks, Calif., London, 1998. R. Cullen, “Change of paradigm in knowledge management framework for the collaborative production and exchange of knowledge,” 2003. R. Chambers, A. Pacey, and L. A. Thrupp, (Editors), Critical Assessment, Canterbury: University of Kent at Canter, 1989. C. Dawson, Practical Research Methods, New Delhi, UBS Publishers’ Distributors, 2002. Dalkir, Knowledge Management in Theory and Practice, McGill University, USA, 2005. G. J. S. Dei, “Rethinking the role of Indigenous knowledges in the academy,” International Journal of Inclusive Education, vol. 4, no. 2, pp. 111-132, 2000. R. Dicker, and J. Gilbert, “The role of the telephone in educational research,” British Educational Research Journal, vol. 14, no. 1, pp. 65-72, 1988. Eyong, “ Indigenous knowledge and sustainable development in Africa,” Journal of Sustainable Development in Africa, vol. 5, no. 2, 2007. N. Faber, R. Jorna, and J. V. Engelen, “The sustainability of “sustainability” - A study into the conceptual foundations of the notion of “sustainability”,” Journal of Environmental Assessment Policy and Management, vol. 7, no. 1, pp. 1-33, 2005. Retrieved from: http://www.icpress.co.uk. N. Gorjestern, “Indigenous knowledge for development: Opportunities and challenges,” In Tuaog and Kappot, CP.C.T., 2004. Giroux, “Cultural politics and the crisis of the university,” Cultural Machine, vol. 2, pp. 1-23, 2000. Giroux, “Stuart hall, public pedagogy and the crisis of cultural politics,” Cultural Studies, vol. 14, no. 2, pp. 341-360, 2000. A. K. Gupta, and V. Govindarajan, “Knowledge flows and the structure of control within multinational corporations,” Academy of Management Review, vol. 16, no. 4, pp. 768-792, 1991. Guthrie, Comparative Bantu: An Introduction to the Comparative Linguistics and Prehistory of Bantu Languages, Farnborough: Gregg International Publishers Ltd, vol. 3. 1970. J. Hartley, “Radiocracy: Sound and citizenship,” International Journal of Cultural Studies, vol. 3, no. 2, pp. 153-159, 2000. M. Horbat, An Anthropological Critique of Development: The Growth of Ignorance, London: Routledge, 1993. ISCO, Science, Traditional Knowledge and Sustainable Development, ISCO Series on Science for Sustainable Development No. 4, International Council for Science, Paris, 2002. I. Synovate, “Kenya Audience Research Foundation (KARF): Research and share top stations by regions,” 2014. Kakai, “A Community elders’ response on content of the West FM IK Programmes: An interview,” Unpublished, 2015. Kenya National Archives (DC/NN3/1/1), Political Record Book-North Kavirondo District, Part I: General Description of the District, 1900-1916. Juma, “Complexity of language used to disseminate IK,” Oral Interview, 2015. J. H. Kietzmann, K. Hermkens, I. P. McCarthy, and B. S. Silvestre, “Social media? Get serious! Understanding the functional building blocks of social media,” Business Horizons, vol. 54, no. 3, pp. 241–251, 2011. D. Kombo, and D. Tromp, “Proposal and thesis writing: An introduction,” Nairobi, Pauline Publications, Africa, Don Bosco Printing Press, 2006. C. R. Kothari, Research Methodology - Methods and Techniques, New Delhi, Wiley Eastern Limited, 2012. R. Kuhlen, Change of Paradigm in Knowledge Management Framework for the Collaborative Production and Exchange of Knowledge, University of Konstanz, Germany, 2003. R. J. Levine, “Clarifying the concepts of research ethics,” Hastings Center Report 9, 1979. N. Lin, and Y. Bian, “Getting ahead in urban China,” American Journal of Sociology, vol. 97, no. 3, 1991. T. Manan, “Village elder’s views on traditional practices,” Oral Interview, 2015. C. K. Maina, “The traditional knowledge protection debate: Identifying and listening to voices of traditional knowledge holders,” 2009. O. Manyasi, “Oral insights on socio-cultural life of Bamasaba,” Unpublished, 2015. G. Mohamdbhai, “Indigenous knowledge must be harvested for development,” University World News, no. 262, 2013. MMUST, “Indigenous knowledge management,” Journal of Science Technology Education and Management, vol. 6, no.1&2, Kakamega, Masinde Muliuro University of Science and Technology, 2014. J. Mander, “Introduction: Globalization and the assault on indigenous resources,” In Paradigm Wars: Indigenous Peoples’ Resistance to Globalization, San Francisco: Sierra Club Books, 2005. Miles, and Huberman, Qualitative Data Analysis. A Methods Sourcebook, USA. Arizona State University, 1994. A. G. Mugenda, Social Science Research: Theory and Principles, Nairobi, ARTS Press, 2010. O. Mugenda, Qualitative and Quantitative Approaches, Nairobi, ARTS Press, 2003. F. E. Makila, Significance of Chetambe Fort in Bukusu History, Nairobi. Department of Culture, Unpublished, 1982. J. Muhando, “Sacred sites and environmental conservation: A case study of Kenya,” African Journal of Indigenous Knowledge Systems, vol. 4, no. 1, 2005. P. Mundy, and J. L. Compton, “Indigenous communication and indigenous knowledge,” Development Communication Report, vol. 74, no. 3, Clearing House on Communication, Arlington, VA, 1991. B. W. Namande, and C. F. Oyier, “Tapping indigenous knowledge to power the national development agenda: The indigenous knowledge resource centres approach,” The Mataba Journal, A Journal of the Kenya Library Association, vol. 4, no.1, 2015. B. W. Namaande, “The role of media in disseminating Luyia indigenous knowledge for socio-economic development: The case of west FM Radio, Western Kenya,” 2016. M. Nataka, et al., “Using modern technology to capture and share indigenous knowledge,” Australian Academic and Research Libraries, Reprint, 2014. D. Njiraine, “Applying Earl’s KM model in IK management,” Proceedings of International Conference on Information Management and Evaluation (ICIME), University of Cape Town, 2010. I. Nonaka, “A dynamic theory of organizational knowledge creation,” Organization Science, vol. 5, no. 1, pp. 44-57, 1994. I. Nonaka, and H. Takeuchi, The Knowledge-Creating Company: How Japanese Companies Create the Dynamics of Innovation, New York Oxford University Press, 1995. K. Boven, and J. Morohashi, NUFFIC, Best Practices Using Indigenous Knowledge, Nuffic, The Hague, The Netherlands and UNESCO/MOST, Paris, France, 2002. Olenja, and R. Soper, “Education and training: Traditional education systems,” Unpublished, 1986. A. Onwuegbuzie, “Mixed method research: A research paradigm whose time has come,” Research, vol. 33, no. 7, 2004. M. Patton, Qualitative Evaluation and Research Methods, 2nd ed., Newbury, 1990. M. Q. Patton, Qualitative Evaluation and Research Methods, 3rd ed., Thousand Oaks, CA: Sage, 2002. M. L. Patten, “Understanding Research Methods, 4th ed., Glendale, California: Pyrczak Publishing, 2004. P. Elder, “An elder’s views on inadequacy of West FM IK programmes,” 2015. B. Rajasekaran, “A framework for incorporating indigenous knowledge system into agricultural research and extension organizations for sustainable agricultural development in India,” Iowa State University, Ames, 1992. Republic of Kenya, “Bungoma district social cultural profile: Draft report,” Ministry of Culture and Social Services, Unpublished, 1990. Republic of Kenya, “Social cultural profiles: Busia district,” Ministry of Planning and National Development, 1986. D. Riffe, and A. Freitag, “Media content analysis,” Journalism and Mass Communication Quarterly, vol. 74, 1997. D. G. Sefa, “Indigenous knowledge studies and the next generation: Pedagogical possibilities for anti-colonial education,” Australian Journal of Indigenous Education, vol. 37S, pp. 5-13, 2008. P. Settee, “Indigenous knowledge systems, our time has come,” Unpublished, 2007. A. K. Sharma, “Indigenous knowledge communication in the 21st century,” International Journal of Digital Library Services, vol. 4, no. 1, 2014. R. Shebe, “An insider’s views on IK programmes,” Oral Interview, 2015. S. Sibisi, “Indigenous knowledge and technology: Conflict, communication convinience,” Ghana Environmental Protection Agency, Gahana, Dissertation, University of Saskatchewan, Saskatoon, 2004. P. Sitati, “Our culture and the youth,” Oral Interview, 2015. W. Simiyu, “Education and training among the Babukusu, Abatachoni and the Sabaot,” Unpublished, Ministry of Culture and Social Services, 1979. L. T. Smith, Decolonizing Methodologies: Research and Indigenous Peoples, New York: Zed Books Ltd., 1999. P. Siulltoe, “The development of IK: A new applied anthropology,” Current Anthropology, vol. 39, no. 2, The University of Chicago Press, 1998. R. Soper, and B. Mould, “Language and literature: Linguistic profile of the Luyia and I Iteso,” Unpublished, Nairobi, 1986. S. A. Owiny, K. Mehta, and A. N. Maretzki, “The use of social media technologies to create, preserve, and disseminate indigenous knowledge and skills to communities in East Africa,” International Journal of Communication, vol. 8, pp. 234-247, 2014. T. A. Tenya, “Role of the library in promoting household food security through management of agricultural indigenous knowledge: A case of the rural community in Bungoma county, Western Kenya,” The Mataba Journal, A Journal of the Kenya Library Association, vol. 4, no. 1, 2015. Unesco, “Recommendations on Safegurding of traditional culture and folkloreed by the Geneva Conference of Unesco at its 25th session,” Copyright Bulletin, vol. 24, no. 1, 1990. D. M. Warhren, “Using indigenous knowledge in agricultural development (World Bank Discussion paper no. 127),” Washington, DC: World Bank, 1991. N. E. Wallen, and J. R. Fraenkel, Educational Research: A Guide to the Process, Mahwah, NJ: Lawrence Erlbaum, 2001. D. M. Warre, Indigenous Knowledge and Development, Agriculture Department, World Bank, Washington DC, USA, 1990. Warren, et al., The Cultural Dimension of Development: Indigenous Knowledge Systems, London Intermediate Technology Publication, 1990. S. Weber, “Pragmatism vs Interpretivism in qualitative information research systems,” 2013. Retrieved from: http://liu.diva-portal.org/smash/get/diva2:515141/FULLTEXT01.pdf. M. Wepukhulu, “Circumcision and age set categories,” Oral Interview, 2015. World Bank: World Development Report, 1997, The State in a changing World. R. K. Yin, Case Study Research: Design and Methods, Beverly Hills, 1984. A. Tiwana, Knowledge Management Toolkit, Upper Saddle River, NJ: Prentice Hall, 1999. F. A. Uriarte, Introduction to Knowledge Management: A brief introduction to the basic elements of knowledge management for non-practitioners interested in understanding the subject, Jakarta: ASEAN Foundation, 2008.